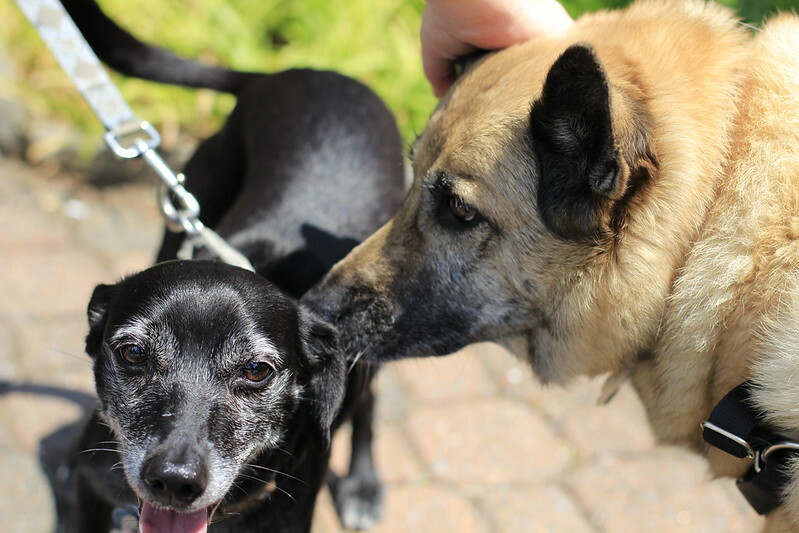 Del Ray is a dog friendly neighborhood filled with furry friends. 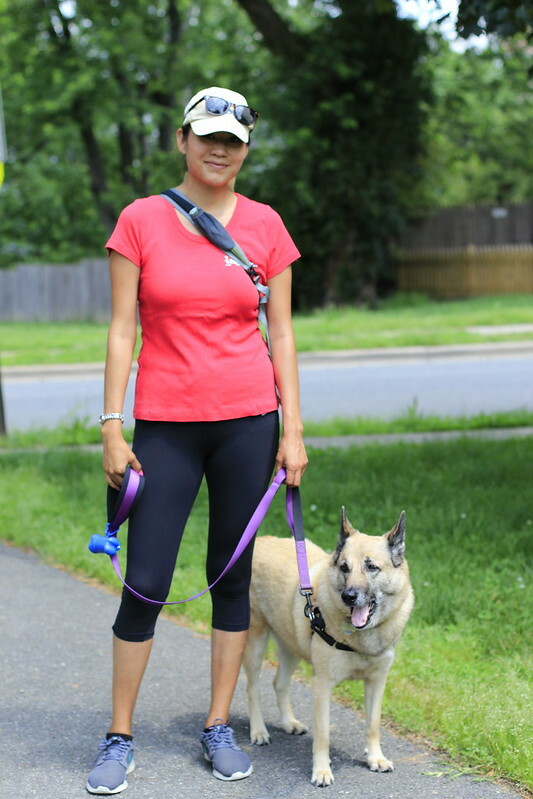 When their owners are busy at work, many are cared for by a dog walker like Stephanie. Stephanie is one of the many dog walkers from DoggyWalker.com. One warm afternoon, Stephanie let me join her on a walk with one of her clients, Mica. Del Ray is filled with places to walk a dog. Stephanie walks along paths, parks, and through neighborhood streets with her clients. She starts at 11 am and continuously picks up dogs throughout the day. What a great way of getting exercise! She spends most her day outside, walking. She walks from seven to eight miles a day (she counts her steps). As she walks, Mica gets a chance to sniff around and meet other dogs. 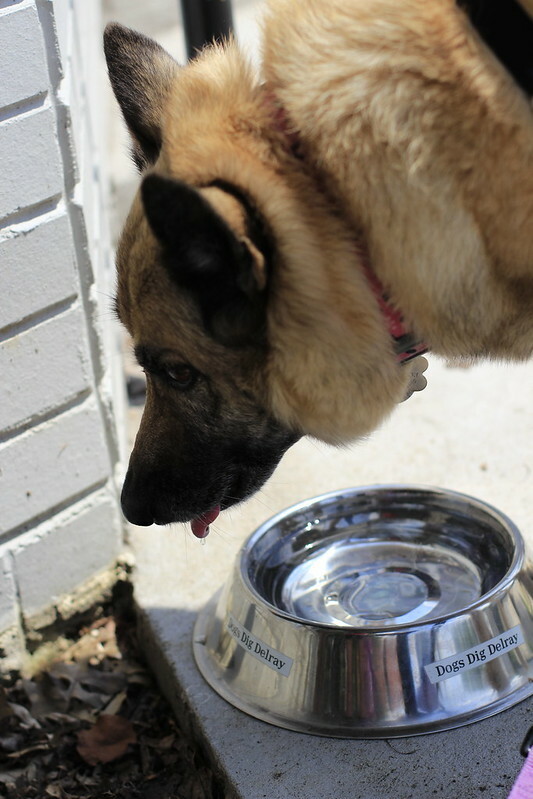 There are plenty of opportunities for Mica to stay hydrated as she walks in dog friendly Del Ray. Being a dog walker is a great career choice for someone who enjoys being outdoors. Stephanie gets to spend her day with dogs and walking around Del Ray’s lovely streets. Come visit Nature’s Nibbles! Free all natural treats!